Train accidents occur a lot more frequently than most people realize. The wrecks that cause multiple injuries or even fatalities are the ones that we tend to hear about in the news. However, smaller train incidents occur with considerable frequency in greater Los Angeles. Our office’s analysis of Federal Railroad Administration statistics shows that, in total, the four-county area of Los Angeles, Ventura, Orange and Riverside Counties saw an average of nearly 60 train accidents per year from 2011 to 2015. If you’ve been hurt in one of these Metrolink, Amtrak or other train incidents, there is a very good chance that you could recover the medical and other costs associated with your injuries. Please call us right away at the Law Offices of David Azizi, where our main phone line is 800-991-5292. We’re available anytime, 24/7, and when you call, we’ll quickly connect you with David so you can begin a free initial consultation about the circumstances of your accident and injuries. 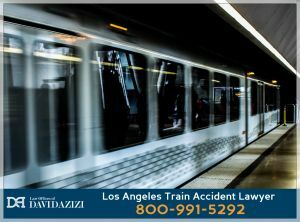 Not only has David represented many victims as a train accident lawyer previously, but his success rate is an outstanding 98 percent. Additionally, he holds honors and commendations from legal services corporation Avvo, which has given him its highest rating of “Superb,” and Expertise.com, which lists him among its Top 20 Personal Injury Lawyers in Los Angeles. Most recently, the influential and prestigious Super Lawyers group named him one of Southern California’s very best attorneys for the sixth time. It’s vitally important to note that the time the state of California allows for a lawsuit to be filed is quite short in these cases. Because all trains in the Los Angeles area are operated by government entities, only six months are allotted after an accident to file a claim. 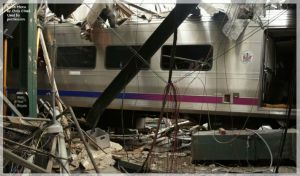 After the entity – for instance, Metrolink – receives the claim, it will likely deny it, hoping the claimant will drop the matter. We urge you to please call us at 800-991-5292 without delay so David can get the process underway before time runs out, both to file a claim and to file a lawsuit to recover the costs of your injuries. We are truly sorry if you are the victim of a Los Angeles-area train accident. If you have lost a loved one in such an incident, we invite you to see David’s wrongful death page for additional information. David feels great sympathy for all his clients, knowing that this is a difficult time for them. As a married father of three young children, he especially feels it when children are affected by the consequences of a train collision or derailment. He wants his clients to know that he will fight like a bulldog in court on their behalf, pushing for every dollar that they deserve, regardless of whether their cases are large or small. Yet he also wants his clients to feel free to connect with him when they need to, so they can feel confident and comfortable with the next steps in the process. That’s why he does something that most other lawyers of his stature don’t do; he gives each client his cell phone number, understanding that questions arise at unexpected times. In David you will find someone who can also truly sympathize with the financial stresses that train accidents place on those who are injured. As their attorney, he forgoes all payment until he wins their cases. To begin the legal process with him, call us at 800-991-5292 just as soon as you’re able, and we will start the road to recovering your financial compensation right away.